Born to Buy: Saucy Sweethearts GIVEAWAY! On Saturday I uploaded a haul featuring all the fantastic products I received from Saucy Sweethearts (to read the post, click here). As always, I was so excited to receive these products and looking forward to giving everything a try, however I decided that it was only fair for me to share some of the goodies with you all. Sounds fair, don't you think? Let's get into it! 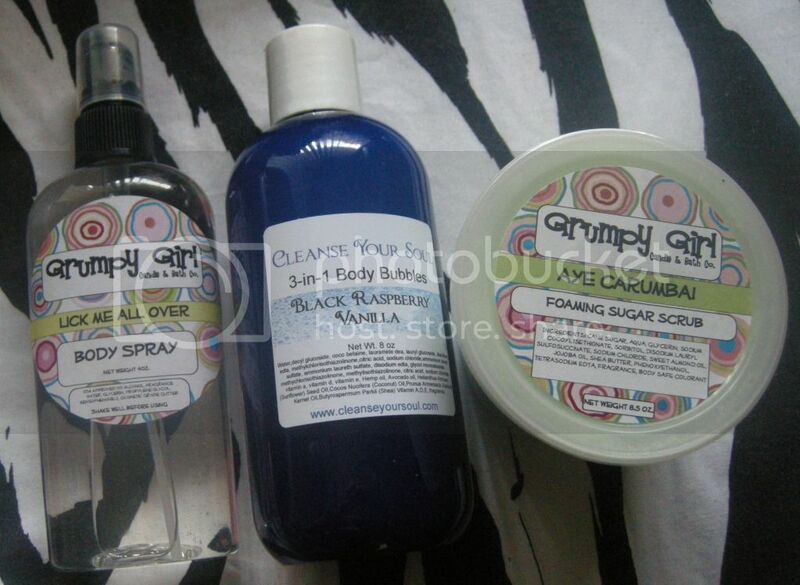 These products all sound great and I'm not looking forward to parting with them, especially the Cleanse Your Soul 3-in-1 Body Bubbles in Black Raspberry Vanilla. It just smells incredible! The giveaway will be open for two weeks and will close on Sunday, September 9, at 6.00pm WST (West Australia time). The winner will be announced later that night. Goodluck, everyone. As always, I look forward to reading you entries and I can't wait to share these products with a lucky winner! Great giveaway, thank you for this.!! Hi, Taya. I will enter you anyway as you have clearly tried to enter! If you see this before the competition ends, however, please just post on Saucy Sweetheart's page. I will still see the entry and it will definitely be included.